When someone says “available homes for sale” what they’re talking about is active listings. The fancy term for that is housing inventory. They all mean the same thing. 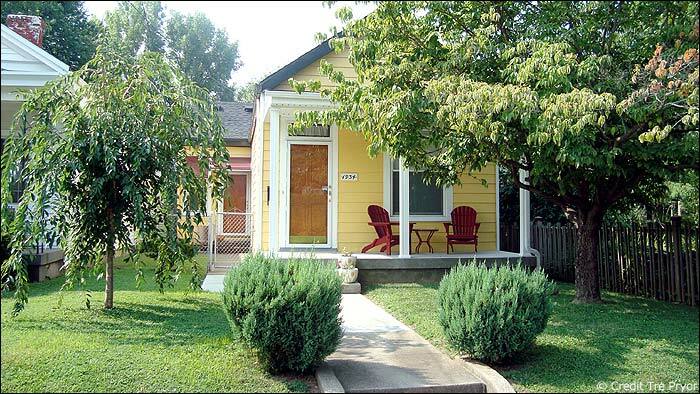 And to put it bluntly, the available homes for sale in Louisville KY is dangerously limited. 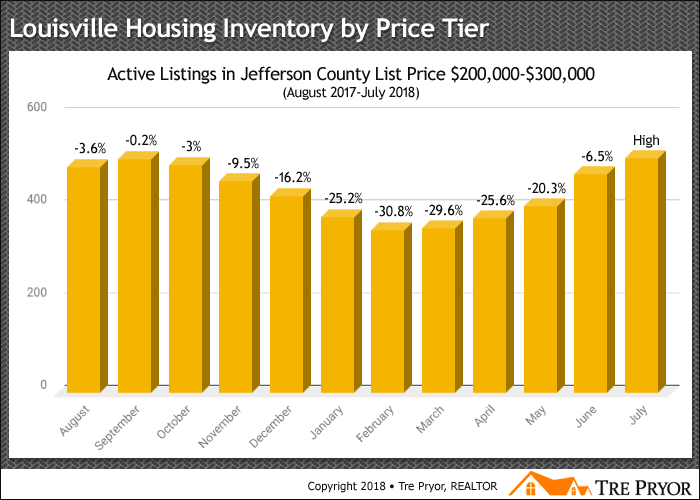 It’s almost always to put things in picture form to better communicate the degree to where Louisville’s housing inventory is currently. Even better, let’s break it up into price tiers. After all, if you’re hunting in the $200,000 to $300,000 price range, you don’t really care what’s happening with half a million dollar homes. Houston, we have a problem! July 2018 was 34.3% off the high mark of October 2017. But that’s not half the problem. Even that month, the highest in the past year, there were only 568 homes available for sale under $100,000. Yes, it’s a housing shortage or whatever you want to call it. Buyers are out there but options are limited with too few homes available for sale. Now, look at the history of this price tier. 2 Years Ago: In July 2016 there were 781 available homes in this price tier. 5 Years Ago: In July 2013 there were 1516 available homes in this price tier. 10 Years Ago: In July 2008 there were 1827 available homes in this price tier. 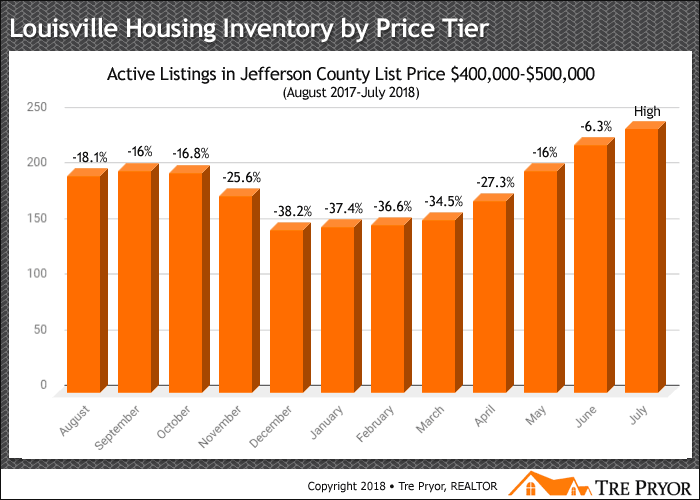 It’s easy to see that we’re not even close to where Louisville typically is in terms of housing inventory. Last month, we only had roughly 20% of the homes we had a decade earlier. Wow! In a city this size, that’s insane. Ok, moving up to our $100,000 to $200,000 price tier. I’ve got a feeling, we’re going to see a similar story unfold. 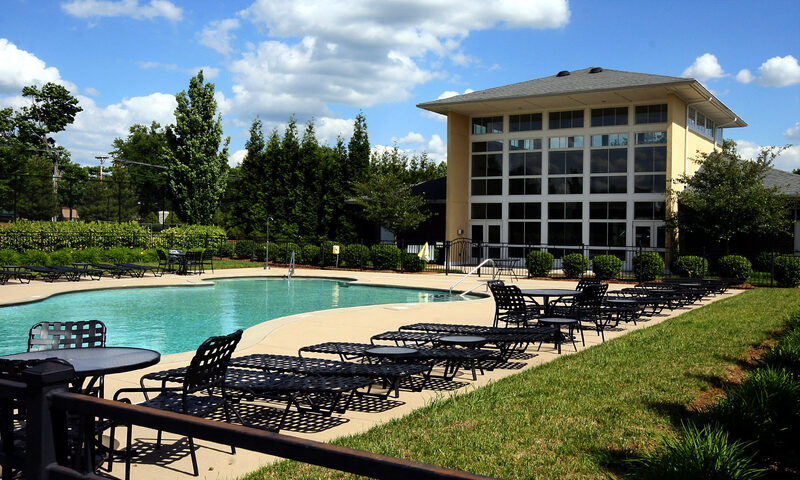 At the 12-month high point, we only had 668 properties for sale. Those sold quickly as just four months later we hit the low for the year. This during the Winter months too, which is unusual. 2 Years Ago: In July 2016 there were 790 available homes in this price tier. 5 Years Ago: In July 2013 there were 1775 available homes in this price tier. 10 Years Ago: In July 2008 there were 2793 available homes in this price tier. Looks like July, with its meager 580 homes, was down a whopping -67.32% from just 5 years ago. Far less than half. Clearly, it’s a seller’s market… but Louisville home sales are still up! In this price tier, July was actually the high point (just barely) for the past 12 months with 507 units available. This is up from two years back. Clear, this price tier isn’t struggling as much as the first two. 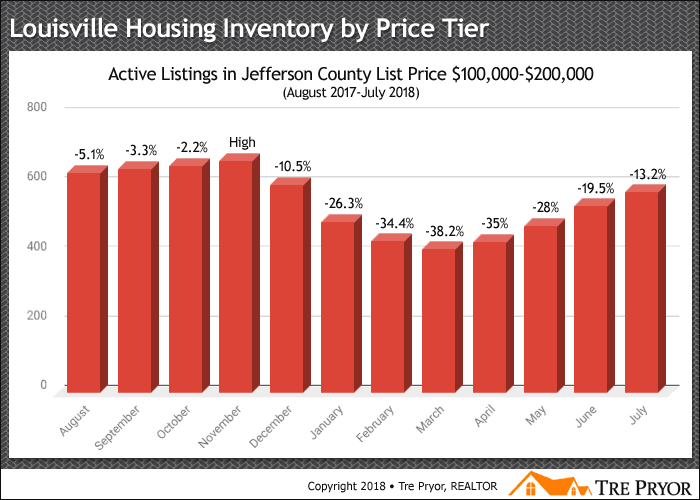 Unlike looking at Louisville housing reports by location, looking at data by price point reveals a completely different picture. 2 Years Ago: In July 2016 there were 455 available homes in this price tier. 5 Years Ago: In July 2013 there were 666 available homes in this price tier. 10 Years Ago: In July 2008 there were 1230 available homes in this price tier. But when you go back 10 years, we still see a large absence of available homes for sales for anyone targeting homes between $200,000 and $300,000. Now we’re seeing more typical readings. 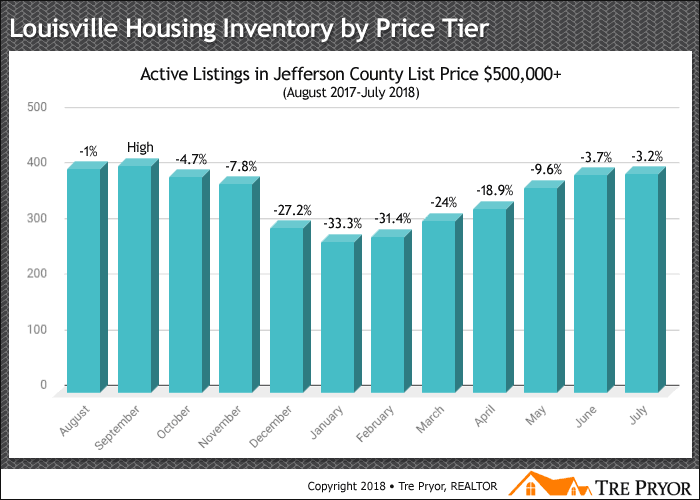 The high month was September 2017 where there were 356 active listings on our MLS. This is very close to where we were five years ago. 2 Years Ago: In July 2016 there were 315 available homes in this price tier. 5 Years Ago: In July 2013 there were 352 available homes in this price tier. 10 Years Ago: In July 2008 there were 595 available homes in this price tier. Home sellers in this price tier do not have the power to control prices nearly as much as in the lower price ranges. In July 2018, there were 238 homes for sale between $400,000 and $500,000. This is up for all the years in this survey. That’s why performing this analysis pays off. Because if all you read is, “There’s a housing shortage in Louisville Kentucky” then you’re getting the wrong message. 2 Years Ago: In July 2016 there were 214 available homes in this price tier. 5 Years Ago: In July 2013 there were 187 available homes in this price tier. 10 Years Ago: In July 2008 there were 227 available homes in this price tier. 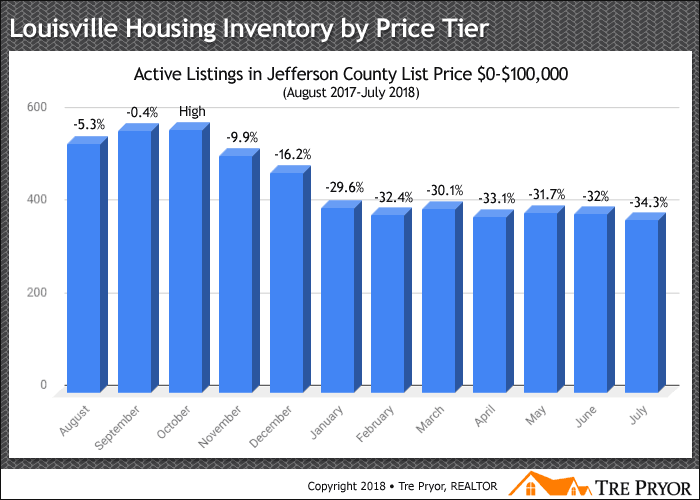 In September 2017, there were 408 homes available for purchase in Louisville. This isn’t far from where we were two years ago. It’s 20% higher than five years ago, though lower than 2008. Clearly, depending on your target price, housing inventory paints a different story. 2 Years Ago: In July 2016 there were 395 available homes in this price tier. 5 Years Ago: In July 2013 there were 339 available homes in this price tier. 10 Years Ago: In July 2008 there were 490 available homes in this price tier. 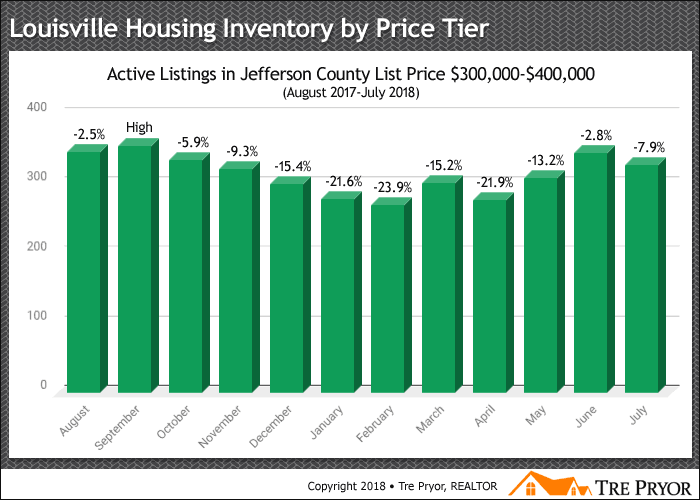 There is still plenty of housing inventory for those searching for homes above $200,000 in the city of Louisville, Kentucky. It’s very much in line with what is typically available. It’s when you’re house hunting under $200,000 that the problem arises. Options are incredibly limited and that’s not likely to change any time soon.